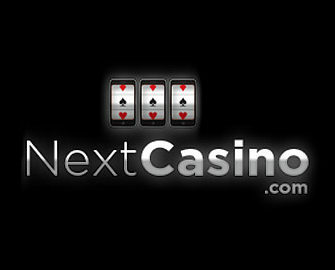 Next Casino – Walking Dead Promo! Use code: NCWD for the reload bonus! Beat the “after Valentine’s” blues! Next Casino is standing out this week by not hopping on the Valentine’s trail. Quite the contrary, they just launched the “Walking Dead” promotion with spooky games but still awesome rewards. On offer are again bags of Free Spins, Deposit Bonuses and a generous Raffle for 10x 100 Free Spins. Not to be missed! Gotta love Next Casino for not jumping on the Valentine’s train and actually bringing out a promotion on quite the opposite end. Participating games are all spooky slots like Wild Blood or Blood Suckers. Claim an offer every day from 14th to 19th February 2017 with Free Spins, Deposit Bonuses and a Raffle being on the list. Qualification criteria and required activity varies. For a deposit to qualify for the promotion it needs to be wagered at least 1x on any slots. Wagering requirements are 50x for Free Spin winnings and 13x deposit + bonus for the reload bonus. Game contributions and restrictions apply, please read the Next Casino Bonus Terms and Conditions carefully. Wednesday, 15th February 2017 – Start with 80 Free Spins on Wild Blood when you deposit and wager minimum €/$/£ 30 on slots. The spins are added on Thursday by 15:00 GMT. Thursday, 16th February 2017 – Wager minimum €/$/£ 50 on Lost Vegas and you will be rewarded with a €/$/£ 10 bonus the following day by 15:00 GMT. Saturday to Sunday – Boost your weekend gaming balance with a generous 50% Reload Bonus, up to €/$/£ 50. Use code NCWD in the banking lobby. This bonus can be claimed once per player during the weekend.